Leica 28mm Elmarit lens on Sony a7RMKII camera. I have been experimenting with a Leica 28mm Elmarit lens on my Sony a7RMKII camera. I have decided to ignore all the internet and the doom mongers on how this lens preforms on the a7RMKII camera, and try it myself. Using the Novaflex Leica M to Sony emount adaptor the lens performs well enough for my needs. I have attached a full size (a2) image to this post for you to see. I am busy working a a City of London street photography project as regular readers might already know. 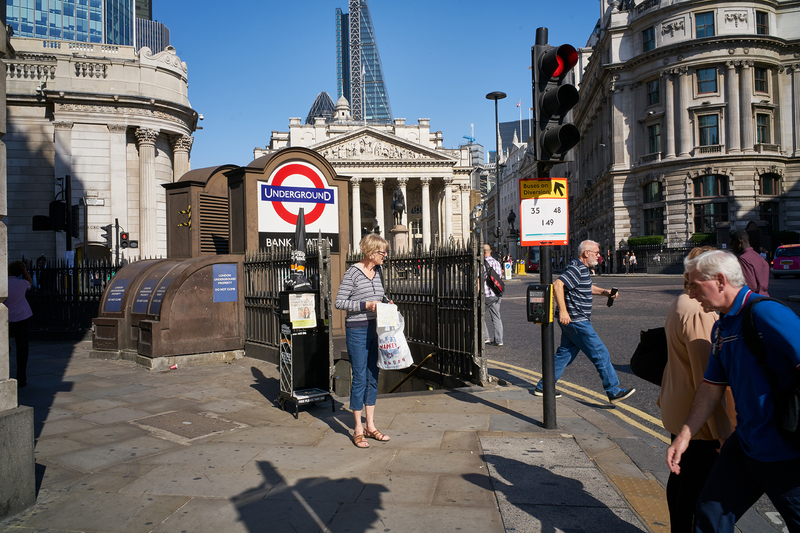 This image was made yesterday, on the streets around the Bank of England. I was working with f11, for depth of field in the image. At this aperture, I can have everything from about 1.2 meters to infinity in my zone of focus and the focus is set to 2.5 metres on the lens. This means that my highest sharpness will be around 2.5 metres from me, and the rest is acceptable sharpness. Here is the image that I liked from yesterdays use of the 28mm Elmarit lens. I have processed the file in Capture One Pro and output it as a jpg in 8bit at the original file size, with a screen resolution of 72DPI, as WordPress would not let me load a 300DPI image to this post. Unfortunately, the exif data does not show the f-stop but it does show 400ISO at 1/250th of a second shutter speed, ,this is because the lens is not transmitting any information to the camera. 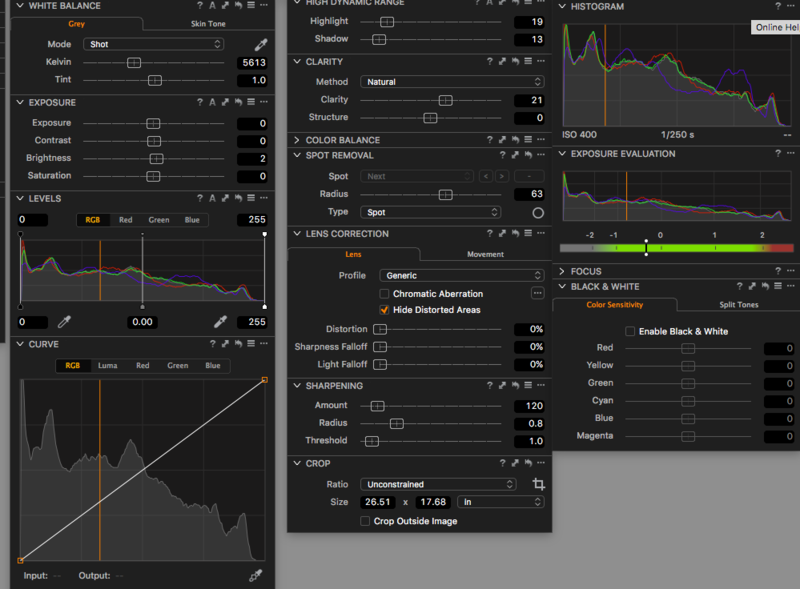 In Addition Capture One Pro does not have a lens profile for correcting this lens build into their lens library, which is a bit of a disappointment. What I like about this lens, is the amazing depth of field, that I can get. The ability to zone focus, because I can set the focus distance easily, by eye, on the lens while out in the street. This has advantages, as I can guess the approximate distance to my subject, prior to raising the camera and let the depth of field cover any inaccuracies in my distance guessing. It really helps with street photography, as I can get the image I want, before my subject realises that they are my subject. It is also rather small on the camera which makes it easier to carry all day.